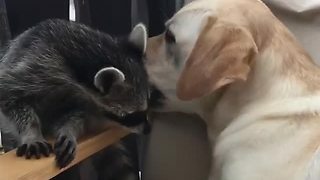 Rumble / Funny & Cute Animals - Even though some people still believe that animals are not capable of having feelings and having friends, so we think that with this heart-breathtakingly and adorable video will show everyone that animals can be best friends with humans and other animals too. 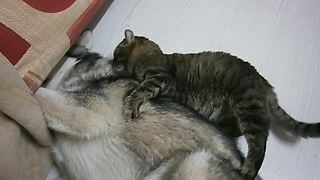 Adorable animal friends are always there for each other as companions, no matter what. Sure, they get into scuffles now and then, but in the end, there is no other furry creature they’d rather spend their time with! Having a best friend is the greatest feeling in the world. The be that super team, the enjoy every day together, share secrets and this dog and duck probably share the same bond! Personally, we think that there’s nothing cuter than seeing a precious video about animal best friends, but there’s a special place in our hearts for dogs that have friendships with animals of a different species. 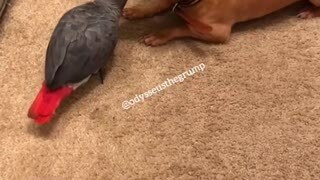 This video is an accurate representation of true animal friendship. 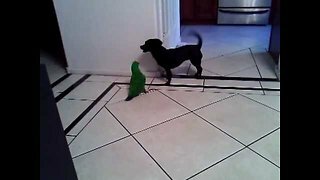 This parrot and this dog are best friends, and they love to spend time together and have lots of fun. 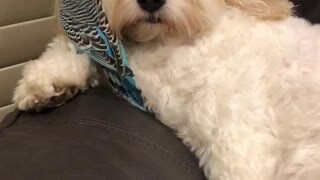 Charlie the budgie loves a good chat, especially to Lucy, his four-legged friend. If only she could understand! 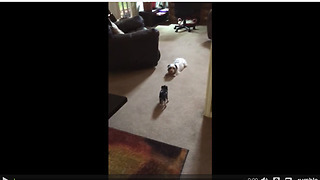 We guess Charlie loves to entertain Lucy and they both look like they really spend time together. They are so adorable! Let’s not ignore the fact that this parrot has incredible beat-boxing skills. Wow, he is so talented! Parrots have the ability and talent to mimic songs, words and also human sounds. It amazing how intelligent they are and how amazing performers they can be. 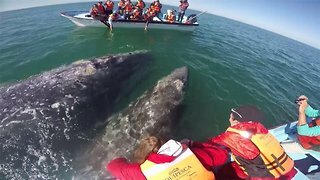 They are truly remarkable animals, and they always find a way to impress us! A significant factor in this kind of friendships have dogs because they are very friendly and accepting. They like to give love and to receive back. 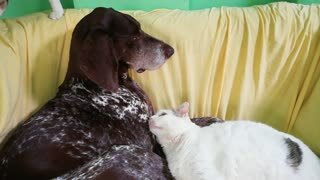 We are pretty sure there is a lesson to be learned from our four-legged friends and them amazing friendships. We can get enough of these beautiful animal friendships that break all barriers. Those are the friendships that teach us about true friendship and love! Animals have the purest souls, the biggest hearts and they can be great teachers sometimes. They always find a way to teach us a lesson about friendship, having fun and just enjoy the time having fun with our loved ones and with our friends! Also, don’t forget to share this beautiful friendship and this talented parrot!